Wow – one day left until the fashion show! I am so excited. Many thanks to everyone who is volunteering as a model or is helping to coordinate the fashion show...it's going to be a fun event. We'll be at the St John's Church on Thursday the 14th from 6:00-7:30pm. You can buy tickets here. 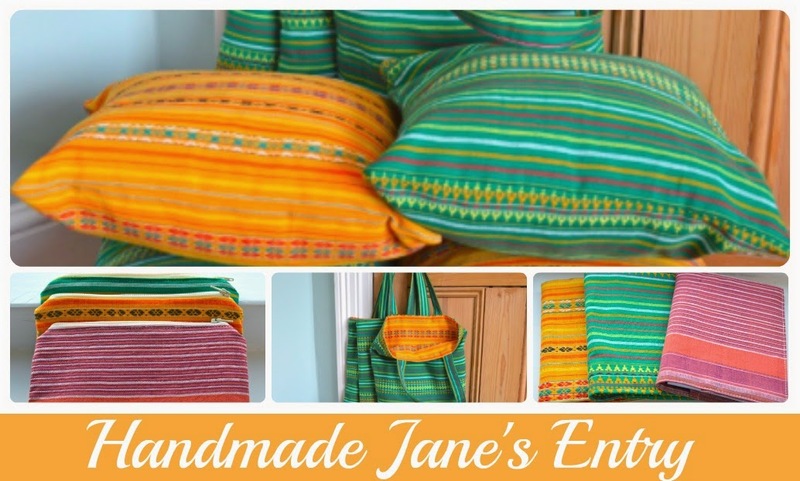 All proceeds go to support Weaving Destination and the Nedan Foundation, a local charity in NE India providing important services and support to women and their families. 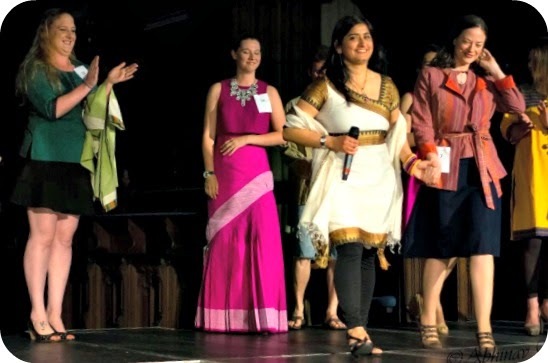 I am so excited to show you some of the amazing outfits that have been entered into the fashion show contest – all made from Weaving Destination fabric! 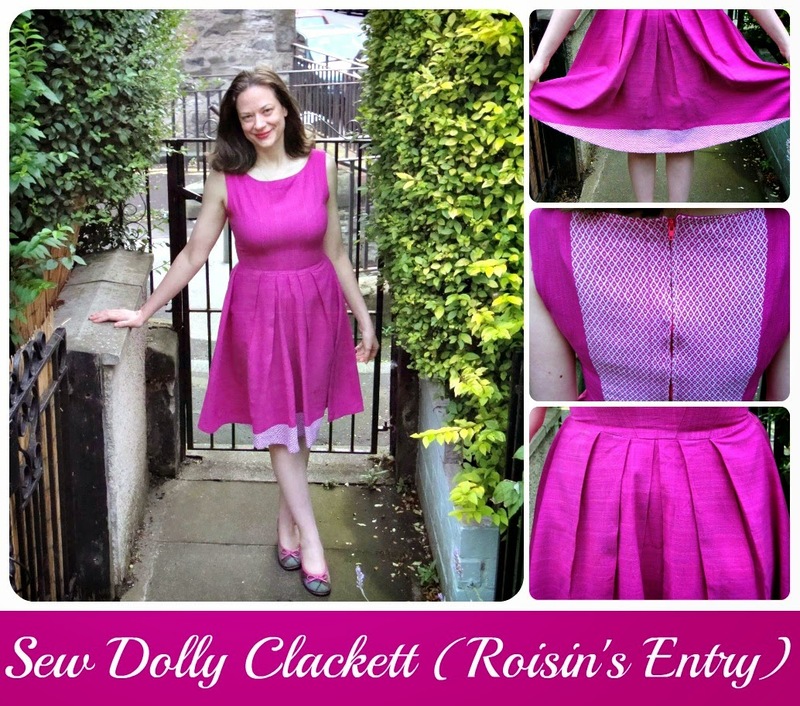 I was delighted to receive Roisin's entry to the fashion show – a classic Sew Dolly Clackett dress. It even fit me, so I slipped it on to take photos! It uses the border print in such a clever way – up the back of the dress and at the bottom. 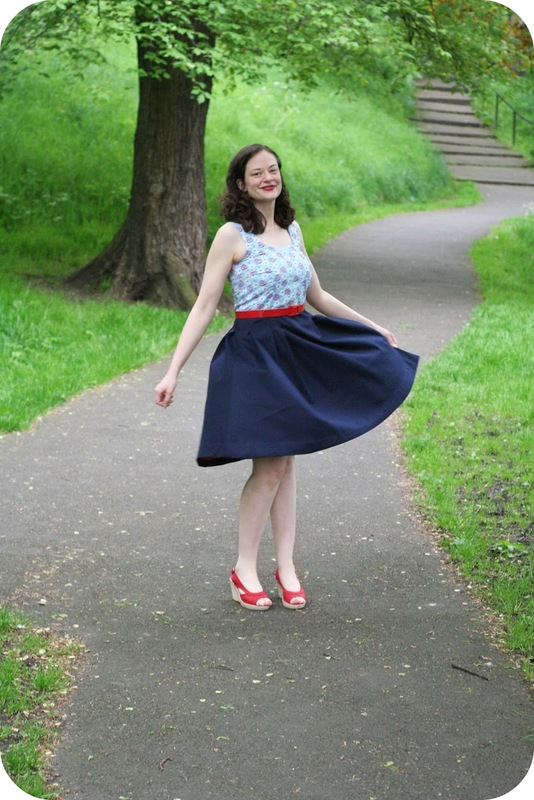 There are adorable pleats in the skirt front as well! Thanks Roisin!! 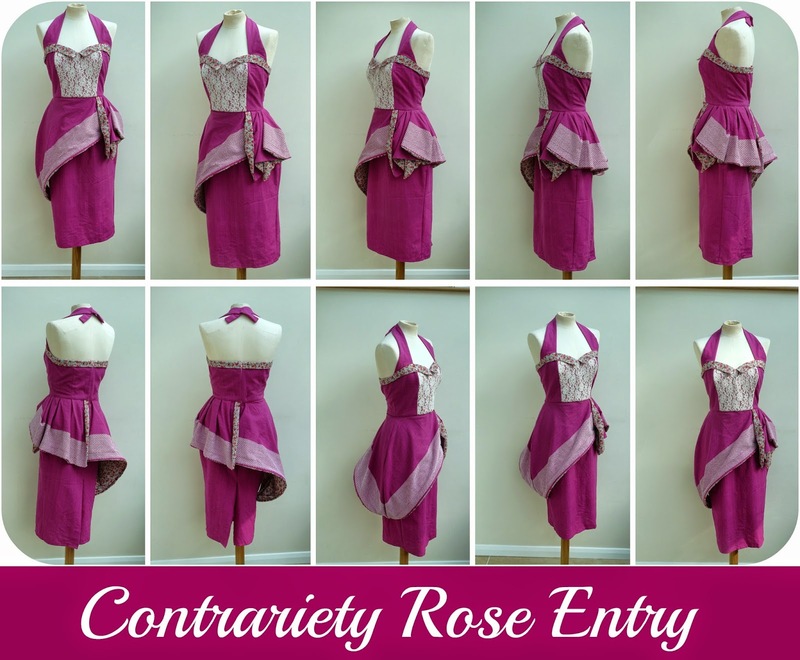 I am super excited about this amazing me-made make from Contrariety Rose. 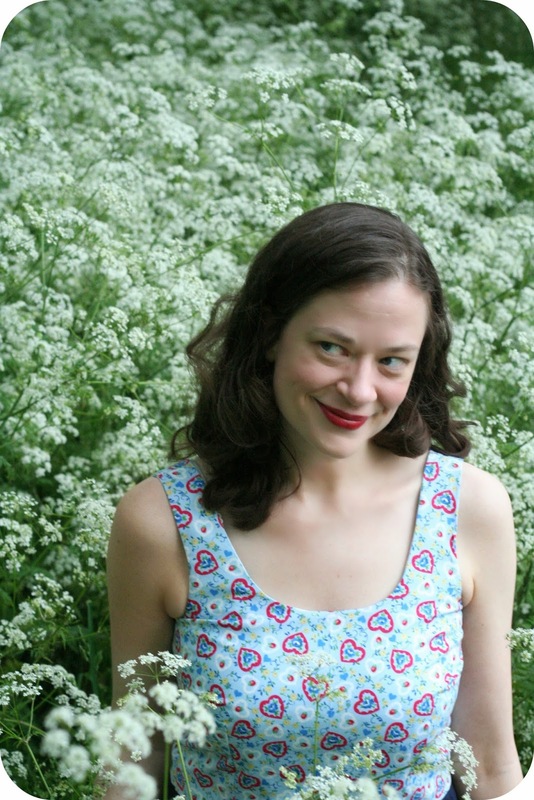 Louise makes bespoke dresses with vintage flair. 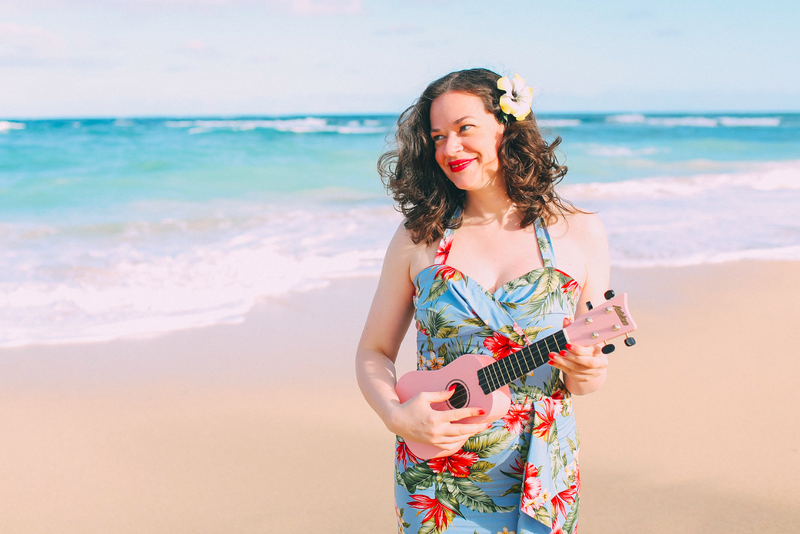 Check out her super cool website and her Etsy shop with similarly amazing dresses! 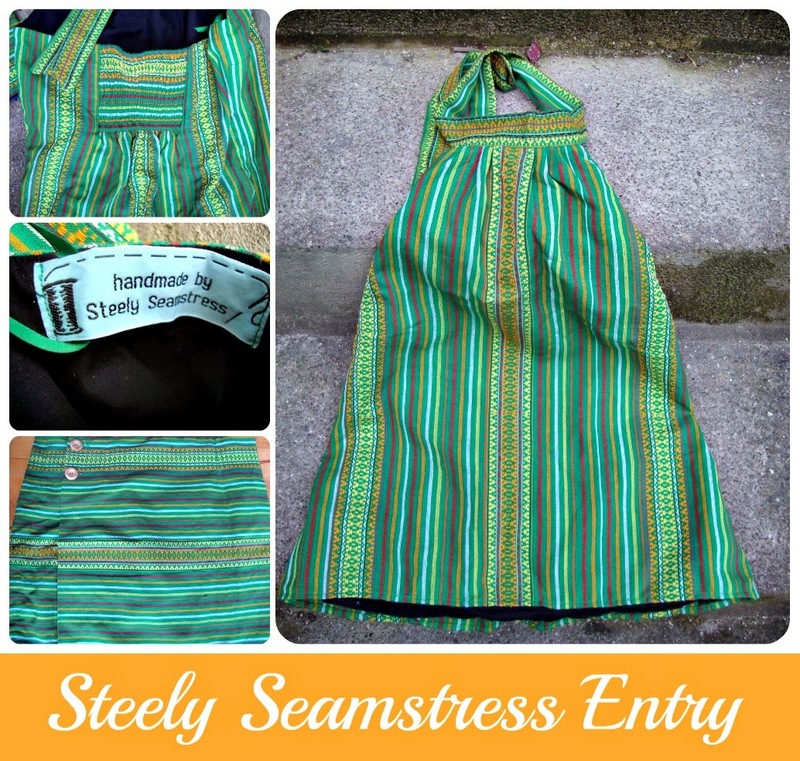 Another awesome halter design – this time in separates from Steely Seamstress. 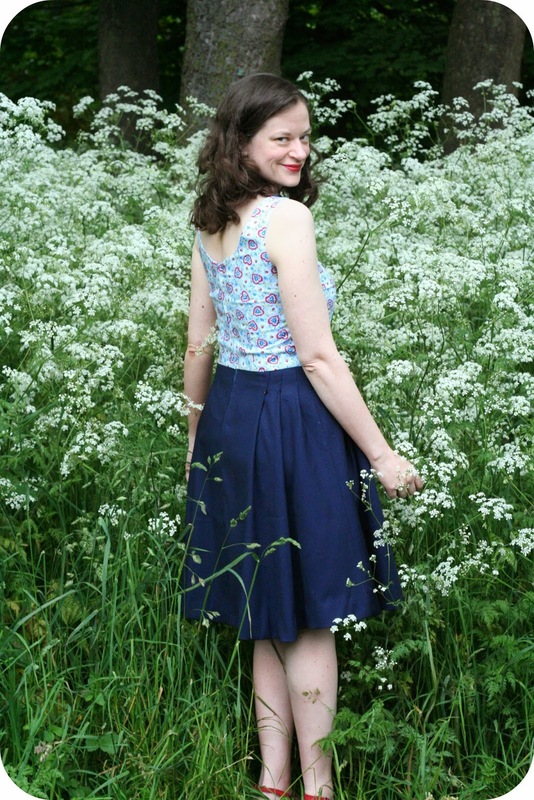 I absolutely LOVE the shirred back to this amazing halter top! And isn't the placement of the print just ingenious? 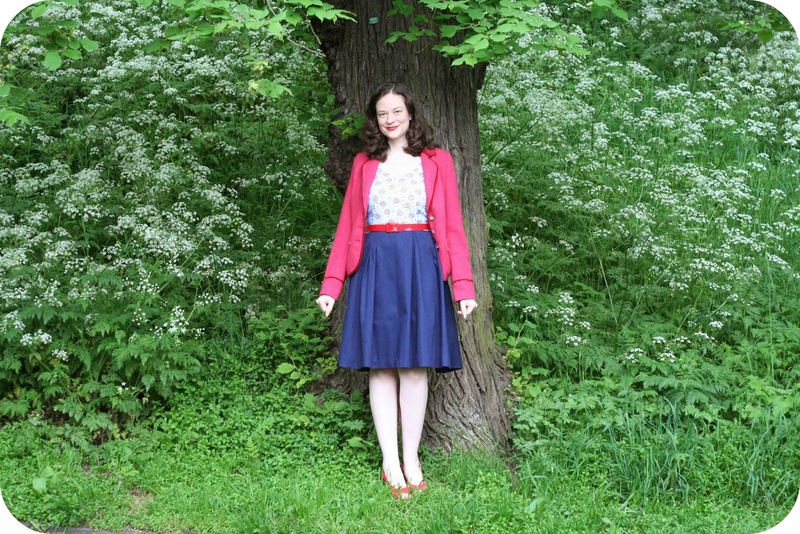 This has an adorable mini wrap skirt with great wooden buttons! Thank you Steely Seamstress!! 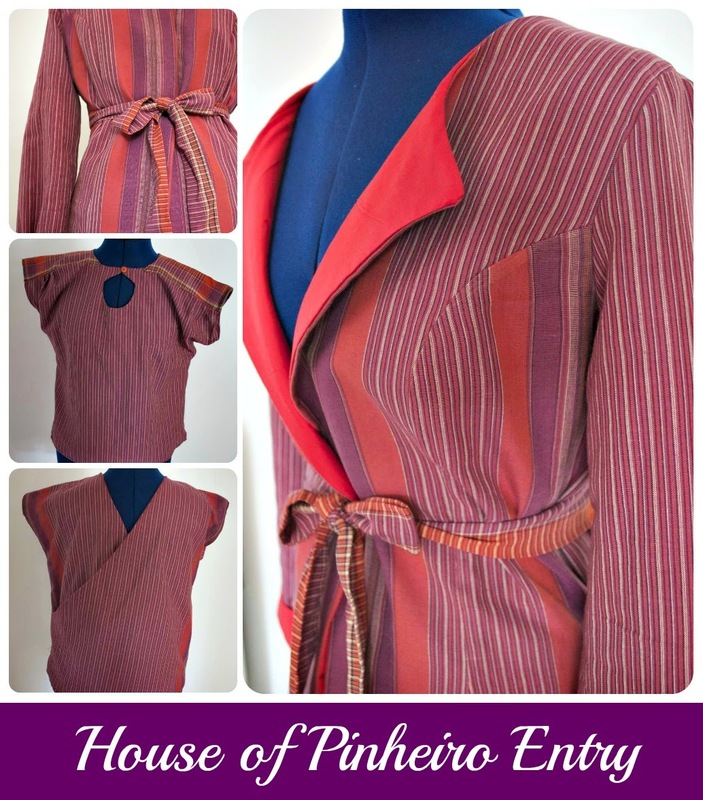 Many of you will know Rachel who blogs over at House of Pinheiro. 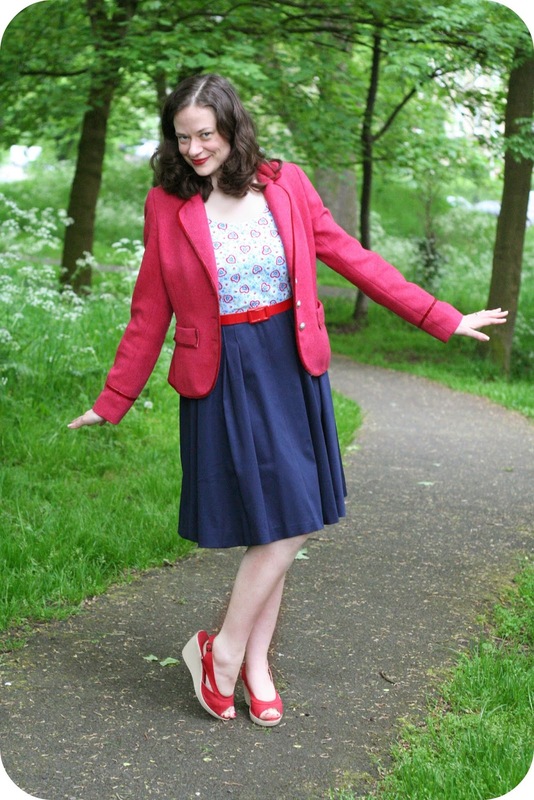 I am in awe of Rachel's self-drafted jacket entry! The placement of the stripes is just fantastic and I love the lining fabric as well. Rachel also made a cute keyhole blouse with a v-neck back! I am so excited because this is the outfit I get to model in the fashion show! yay! Thank you, Rachel!!! 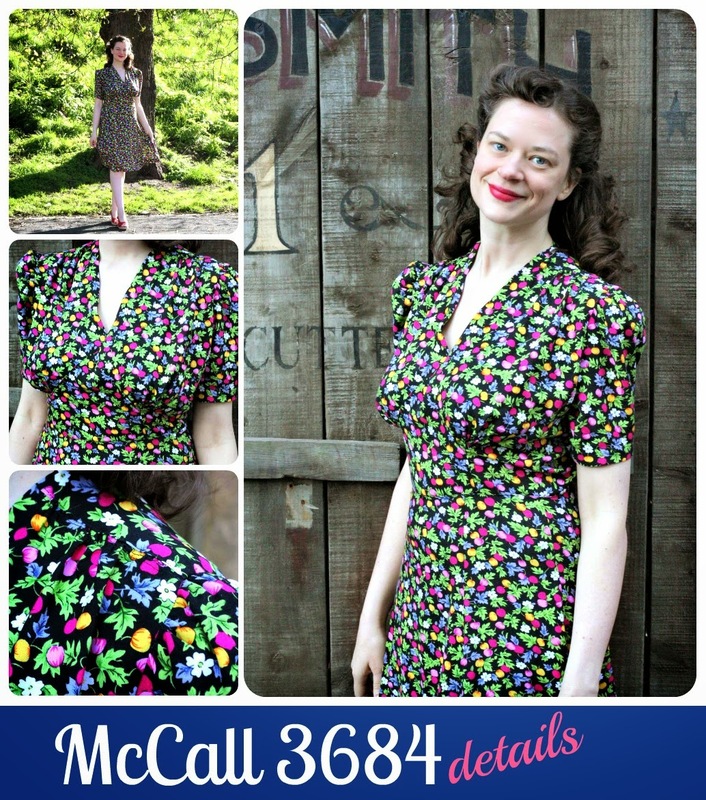 One of the most amazing outfits I have seen is Sally's own make from the fabric! 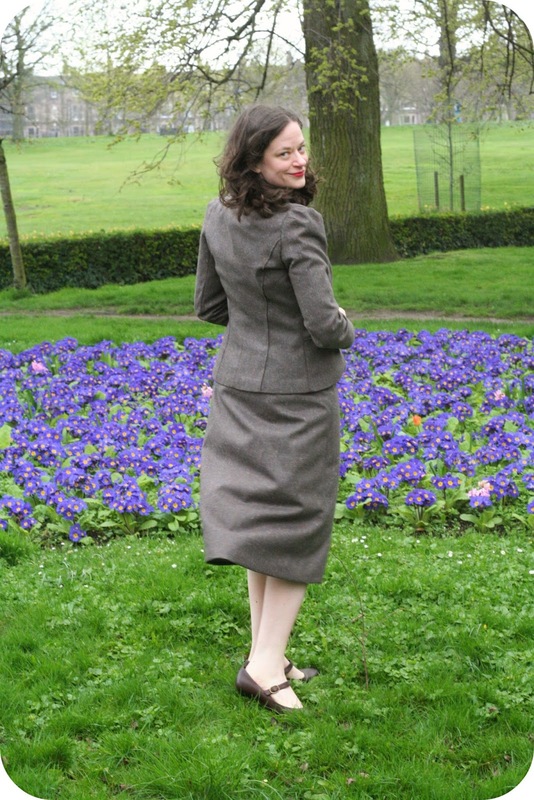 Many of you know Sally who blogs over at Charity Shop Chic (and her fabulous new pattern line – Capital Chic Patterns). This dress is SO AMAZING! The skirt has loads of beautiful pleats (there is tulle sewn under the skirt as well to give it extra flare). 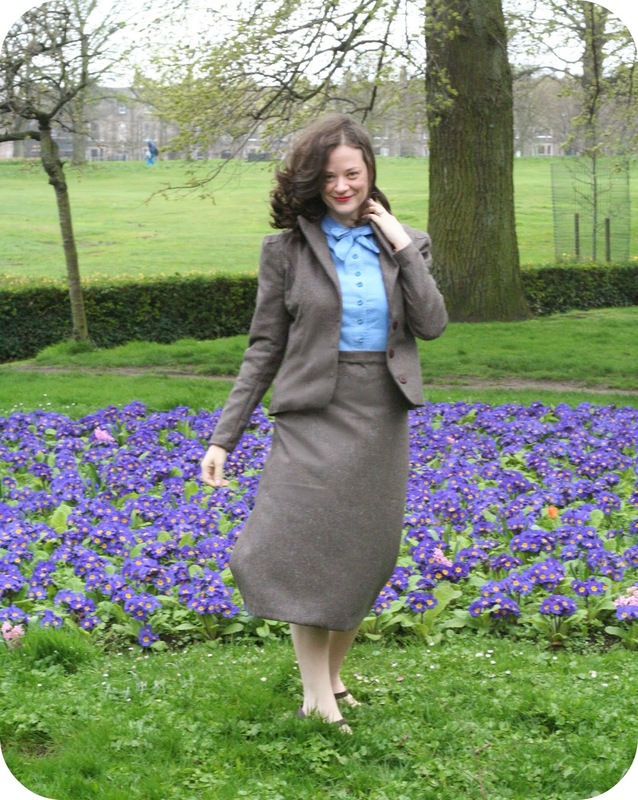 The top is made from Harris tweed as Sally wanted to honour the spirit of Weaving Destination by matching Scottish handwoven fabric with Indian handwoven fabric! And I think you will agree with me that it is absolutely stunning! 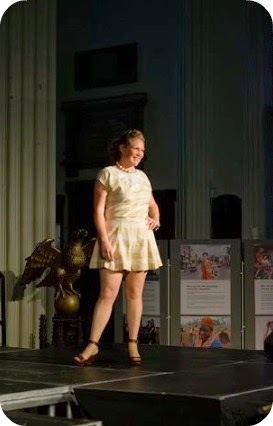 PLUS the best part is that Sally will be modelling her dress in the fashion show!! I am beyond excited!!!! Thank you so much, Sally! 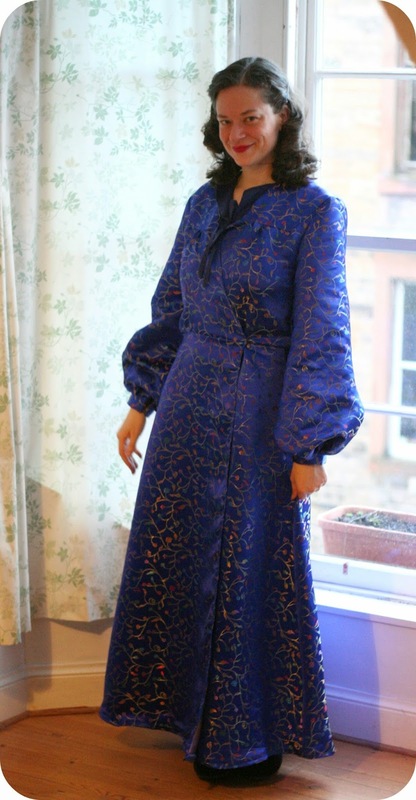 And last but not least is a very special make as it is made from a sample of our ethical Eri silk fabric. 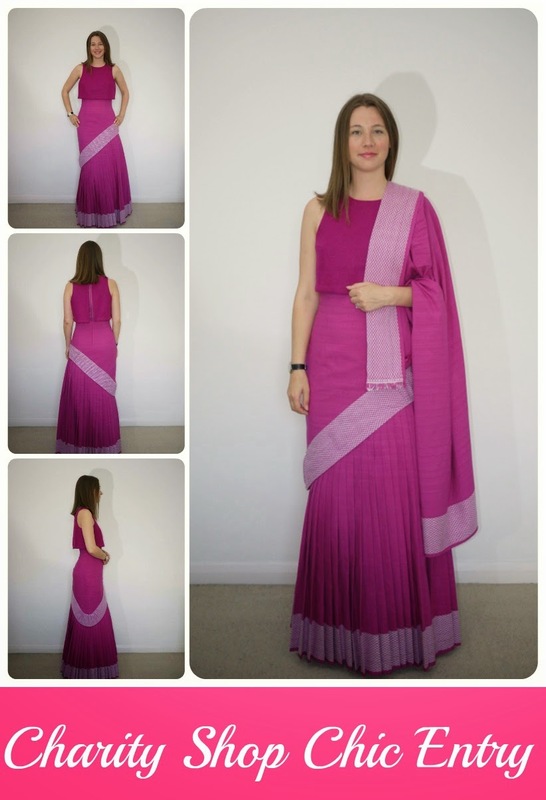 This silk is made from Eri silkworms, which are only found in the Northeast part of India. The other great thing about this silk is that it is 100% vegan (the silkworms are not killed in the process)! Rachel made a fantastic outfit with a beautiful lace yoke and will also be modelling this herself in the fashion show!! YAY! Thanks so much, Rachel!! How amazing are these makes? I am so happy for everyone's entries and support and am super excited for the fashion show tomorrow! Which garment is your favourite? Are you a designer? Do you love to sew? Do you want to use your creativity and talent for a good cause? Do you want your designs to get noticed at the Edinburgh Festival? Enter our Fashion Show Contest!! I'm super excited to tell you all about this exciting news. We have managed to secure space during the Edinburgh Festival – the largest arts festival in the world!! 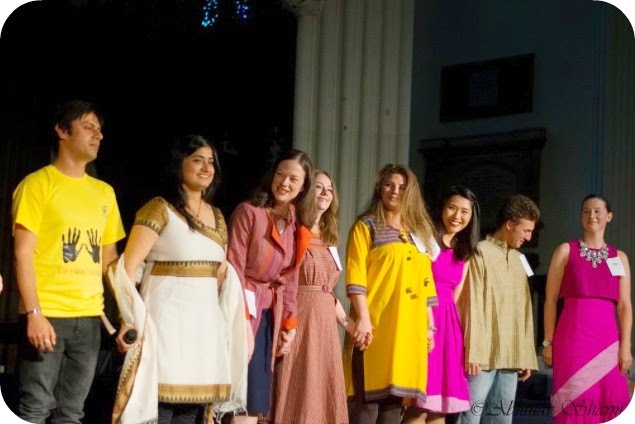 And we are planning to have a Weaving Destination fashion show and we are inviting you to submit garments or crafts using Weaving Destination fabric that we can showcase in the show. Weaving Destination is a social enterprise benefiting women weavers in India, many of whom are survivors of human trafficking. Their beautiful hand-woven, cotton and silk fabrics are organic, ethical (vegan), naturally dyed and of the highest quality. 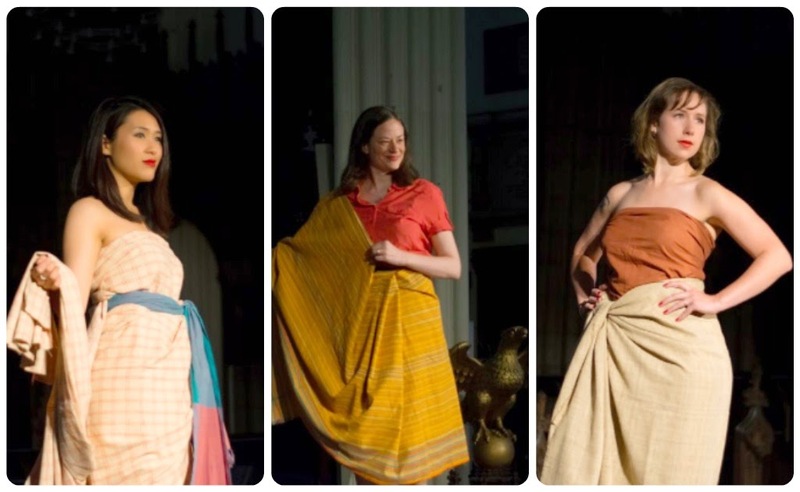 Proceeds from the sale of fabrics go back directly to the women weavers and their families. All contest participants will get 15% off their purchases. Email us your name, contact details, category and number of entries at: wetheweavingdestination@gmail.com. We will confirm your participation. a. Sew Up a Garment Using the Weaving Destination Fabric and Send it to Us. 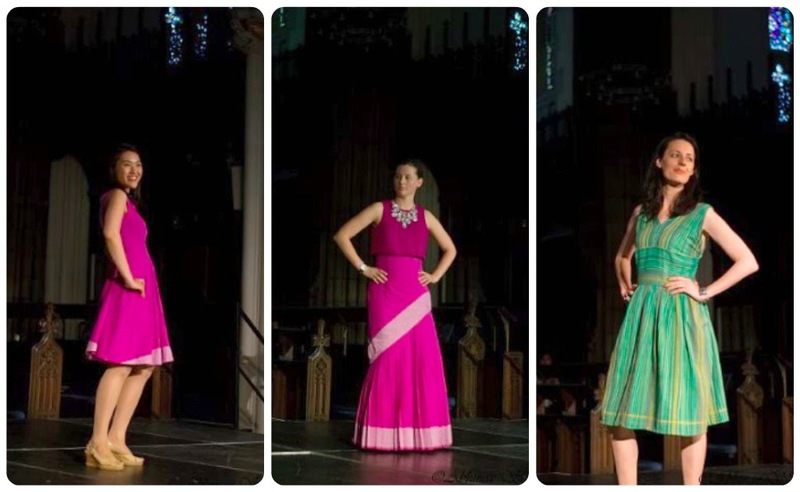 Send us Your Garment Postmarked by 20th July, 2014 (outside the UK) and 28 July (within the UK). The address for posting your garments will be sent to you when you register. 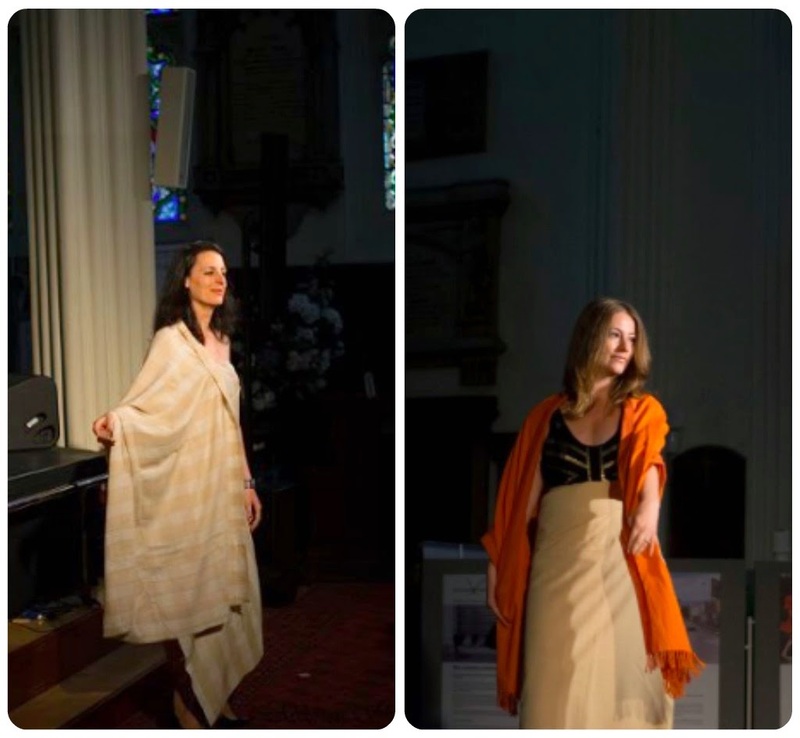 Your garment will feature in the Fashion Show on 14th August 2014 (18:00 – 19:30) in Edinburgh right during the month-long Edinburgh Fringe Festival. The Edinburgh Festival Fringe is the largest arts festival in the world and takes place every August for three weeks in Scotland’s capital city. 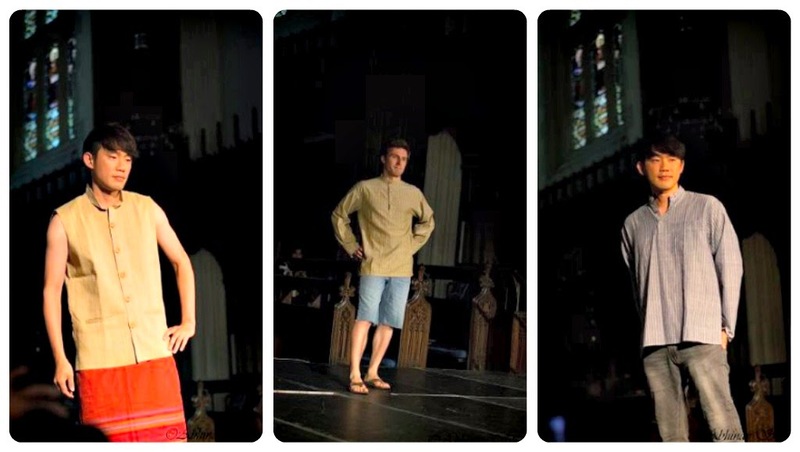 We will showcase all the designs featured in the fashion show and your design may get media attention! 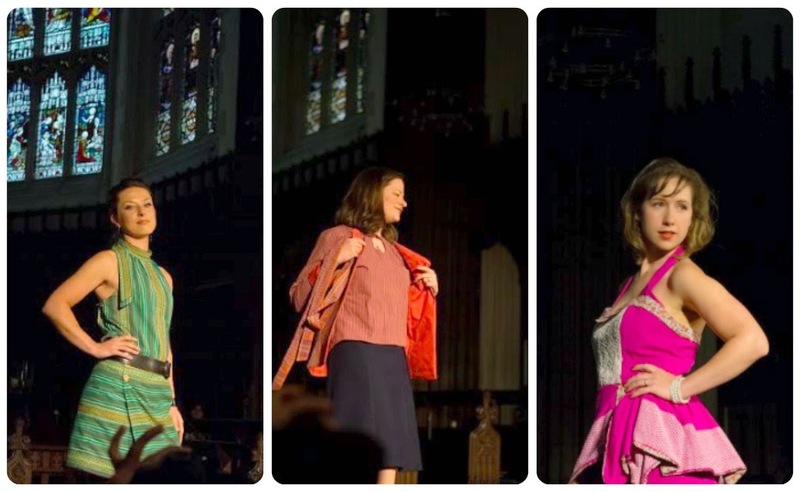 When purchasing your fabric, let us know if you plan to model the garment yourself in the fashion show or if you would like to make the garment for one of our models. If it is for one of our models, we will send you measurements and you can get started on sewing up your dream designer outfit! You will automatically be entered in the fashion show contest which will feature a long list of fabulous prizes (to be announced soon). The winners will be decided by a split vote between the audience at the fashion show and an online vote through the 'My Happy Sewing Place' blog. d. At the End, You Can Either Donate Your Garment to Weaving Destination or We Will Post it Back to You. We are happy to send you back your garment for you to cherish or you can donate it to Weaving Destination! Just let us know what you prefer!! Garment sewing not your thing? No worries! We are opening the contest to housewares and craft sewers as well! 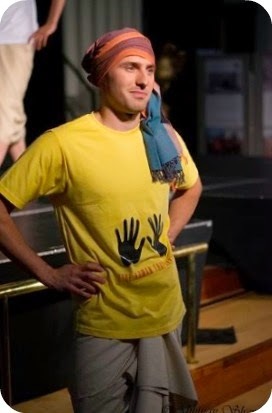 We will be having a Weaving Destination stall at the Fashion Show event if you want to showcase your creativity. Do you love making bags, pincushions, headscarves, etc? Why not use Weaving Destination fabric and we can showcase your items in our stall and sell them for you!! You get to keep 60% of the profits and the remaining 40% will be donated to Weaving Destination. If you'd like to participate, email us your contact details, what you plan to make and how much you would like to charge. That way, we can plan our stall accordingly. All items made for the Weaving Destination stall will also be entered into a separate category of the contest with equally cool prizes!! You can send more than one entry. Do let us know your number of entries when you register. You can also come and see the show, tickets on sale here. Don't wait, precious sewing time is ticking away :-) We will share all the photos from the event with you all! I can't wait!! I'm back from a lovely short holiday and am excited to show you my most recent creation! 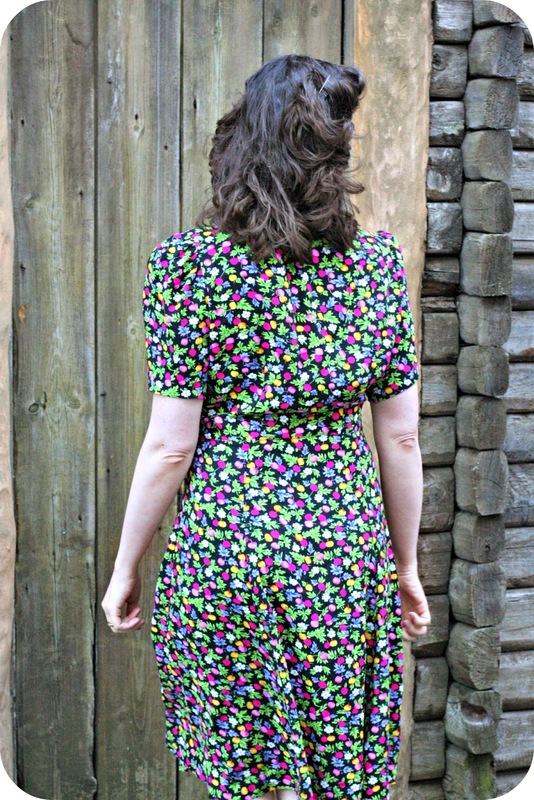 I was delighted to pattern test the Lilou dress pattern from Tilly's new book: Love at First Stitch. 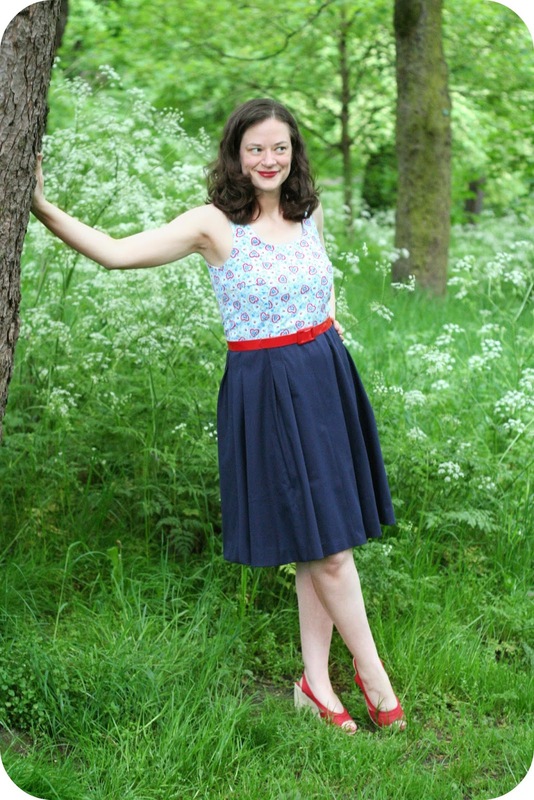 It's such a fabulous dress pattern with a chic no-fuss bodice and a beautifully draped skirt. Here's my best Tilly pose....have you seen the pictures from the book?? 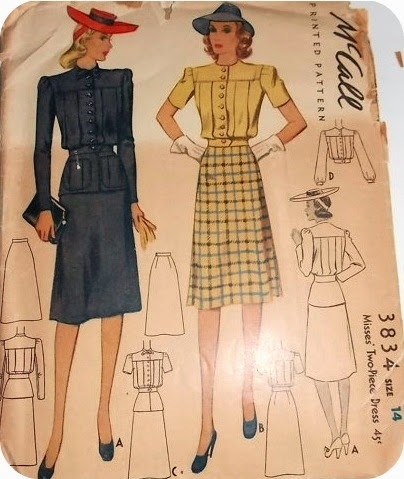 One of my favourite things to do is to read it before bed and look at all the beautiful pictures and imagine all the clothes I am going to make!! There's something about the faux separates look that I just love in dresses! I am really pleased with the way the dress came out. I feel like I could wear it in almost every season – it's perfect for hot summer days or paired with a jacket for those cool autumn and spring nights. Do you have the book? Are you planning to make some of the patterns? I can't wait to try them all!! And boy, does she love it! 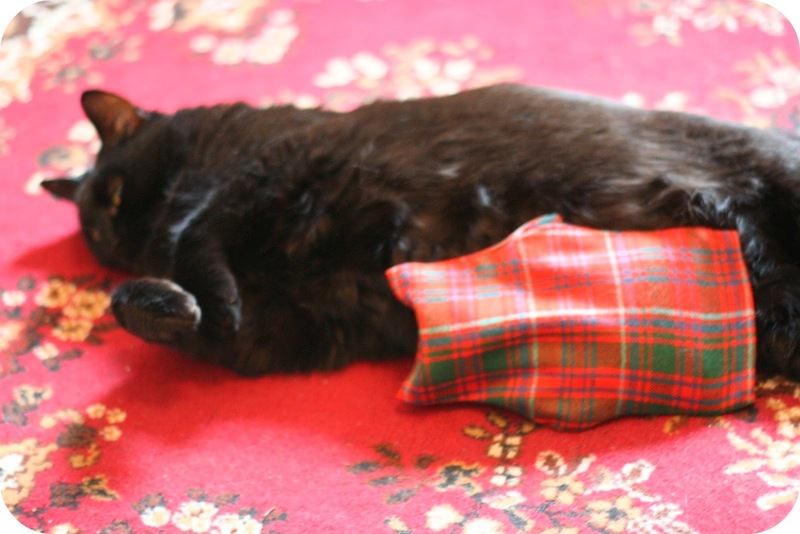 Look at her....and doesn't the hot water bottle look like a mini-Scottish cat toy? 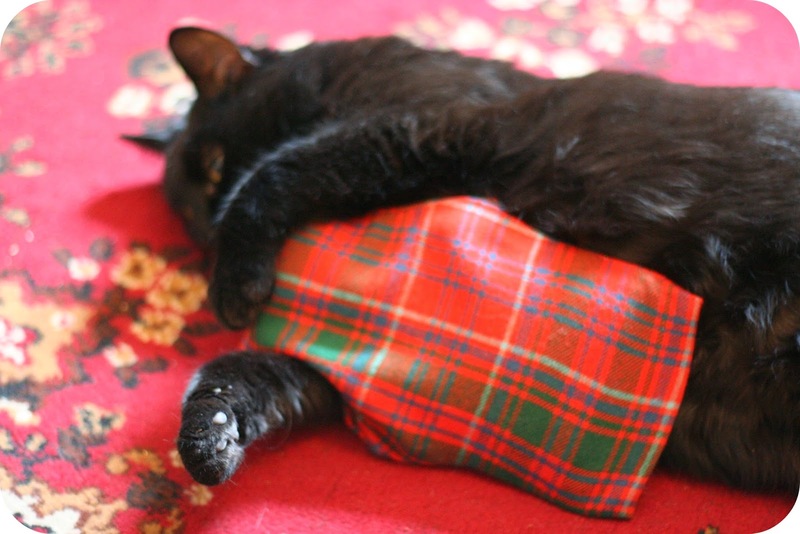 Have you ever sewn for your pets? 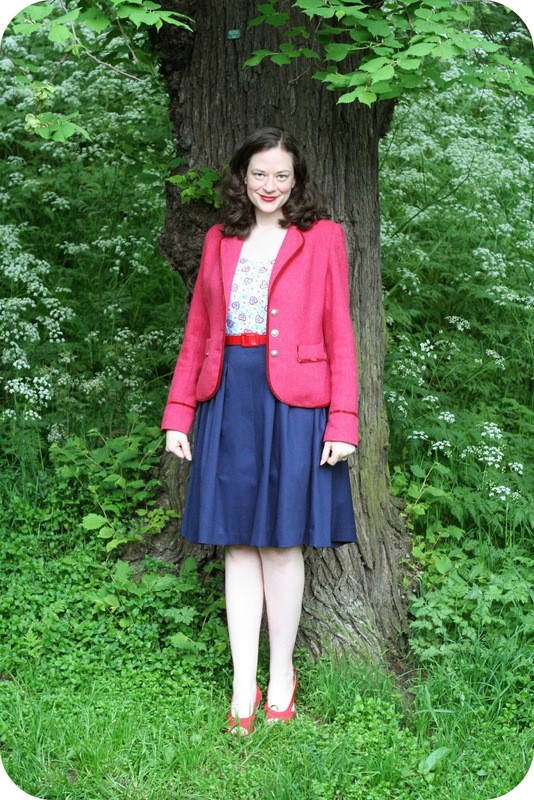 I had enough fabric left over from my jacket (McCall 3769 or the 'Lantern Army' jacket) to make a matching skirt. 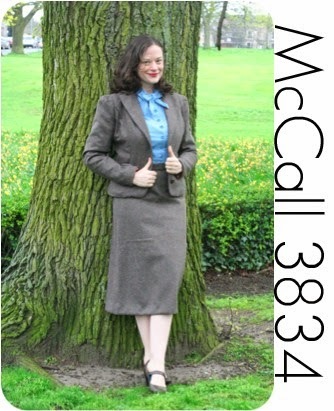 McCall 3834 was super easy and quick to sew with maybe 2 hours or so of construction time. The skirt is very straight and there's only two major pieces. I decided to leave the hem a bit longer because I love how it looks with the jacket. What you can't see from the brown wool fabric is that there are tiny little flecks of blue in it. 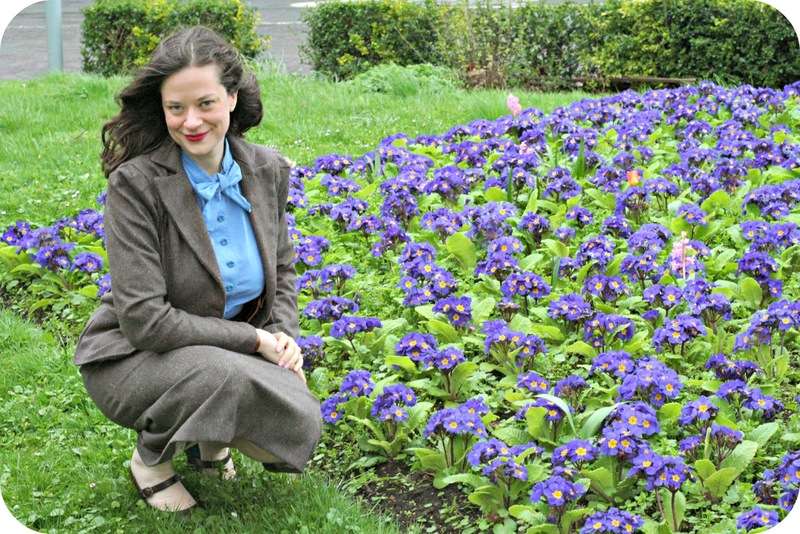 So, I am planning on making a matching blouse in a similar blue colour to the one I'm wearing here (what can I say, I like blue blouses!!) 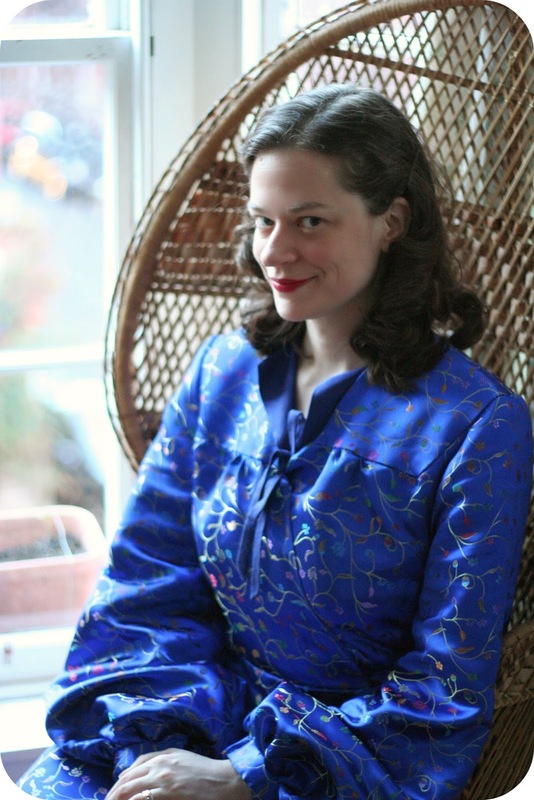 This blouse is from a 1950s Maudella pattern but I'd like another blouse without the bow necktie. The beautiful flowers (violets?) give a false impression that spring is here! But as you can see from the photos, it was very windy and cold. Scotland is very changeable in terms of weather. Locals often joke that if you don't like the weather, just wait 15 minutes and it will change! 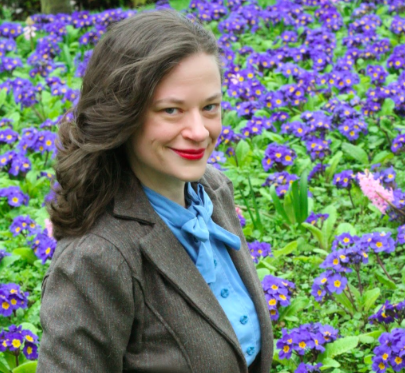 Happy spring (or autumn) to you all! Late as usual for the party, I was stuck in the Clackett Cantina and didn't manage to get out in time for yesterday's deadline for the 'Sew Dolly Clackett' challenge. For those of you that haven't heard of this...it's a lovely wedding gift for our beloved fellow blogger and sewist extraordinaire, Roisin. I had the pleasure of meeting Roisin and Nic in London and I am over the moon at their wedding! And yes, she is as nice and stylish in person as on her blog (with a killer shoe and me-made dress collection)! A definite source of inspiration. 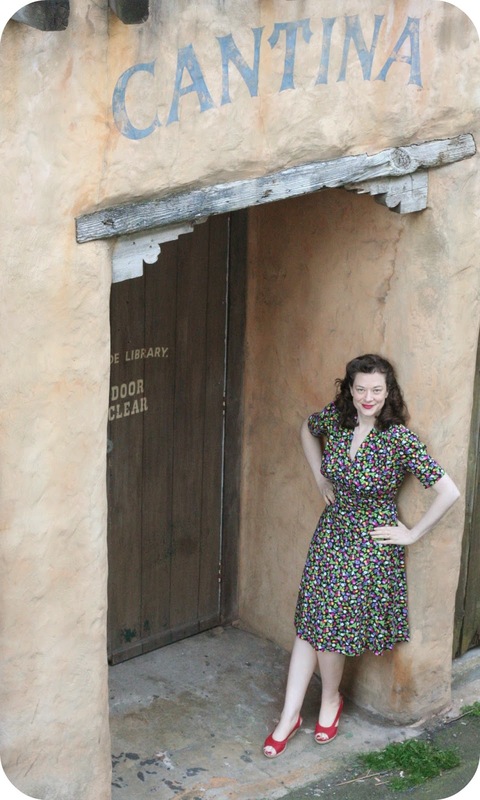 So, I wanted to pick an extra special pattern and photoshoot location for my 'Sew Dolly Clackett' dress. 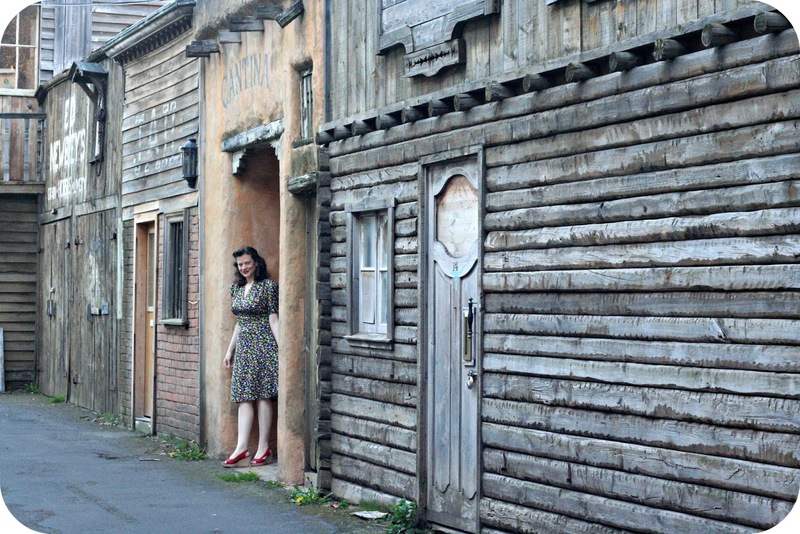 Do you believe this western-looking street is hidden away in an alley in the heart of Edinburgh? It is basically several false fronts on a bunch of sheds that an innovative furniture store owner (who used to work on movie/theatre sets) created for their business. So great! 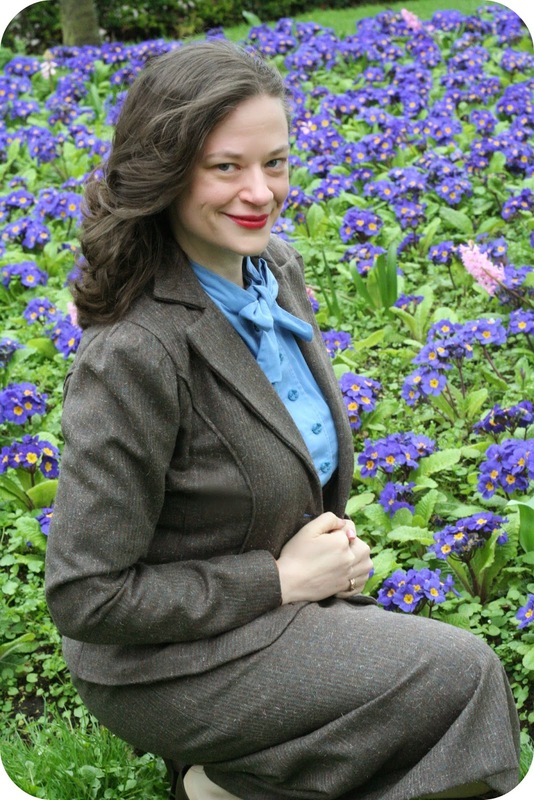 Of course, I didn't actually follow the rules for the challenge...I sort of made up a "If Dolly Clackett wore 1940s dresses" challenge. Or "Dolly Clackett Sews for Victory". But, I do think Roisin would approve of the fabric...so bright and colourful! It brings a smile to my face. 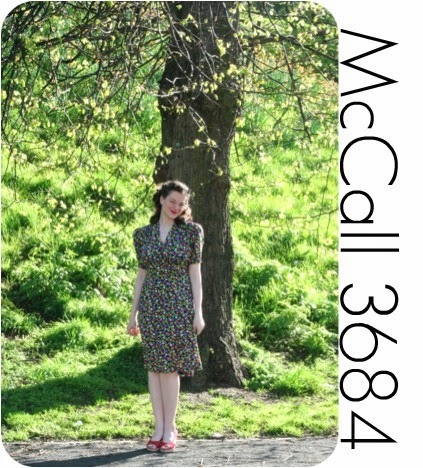 I chose McCall 3684 for the extra drapey fabric (fabric content unknown but I'm guessing some sort of jersey blend). I will definitely have to make this dress again because I wasn't able to make the awesome sleeves that are part of View A. The bodice is really neat. It includes gathering at the shoulders and then two w-shaped bodice pieces that are sewn together with a lapped seam just below the bust area. I think the shape really elongates the torso (I like this look so much better sans belt, though I know they would have worn one in 1940). 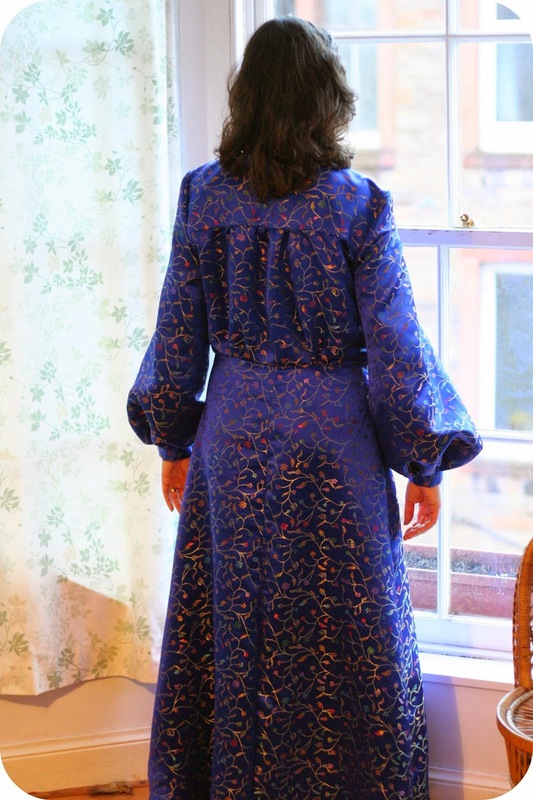 The back has the 'bloused' effect and the dress zips on the side. Raising a glass to you, Roisin and Nic!!! Happy almost wedding! 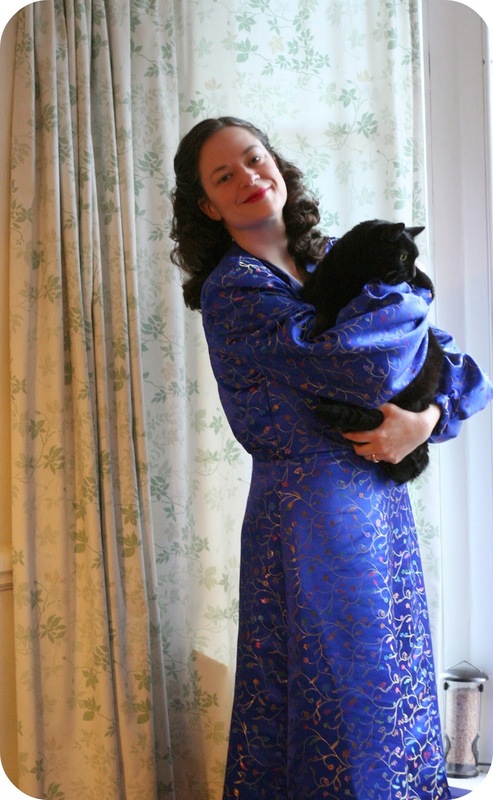 I made the dressing gown out of a rich and heavy silk jacquard fabric. 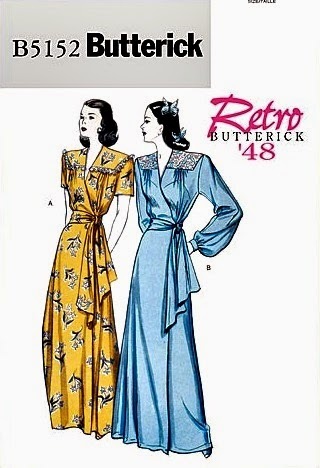 I've used a similar version of this fabric before (in red) to make a 1930's gown. It sews like a dream. 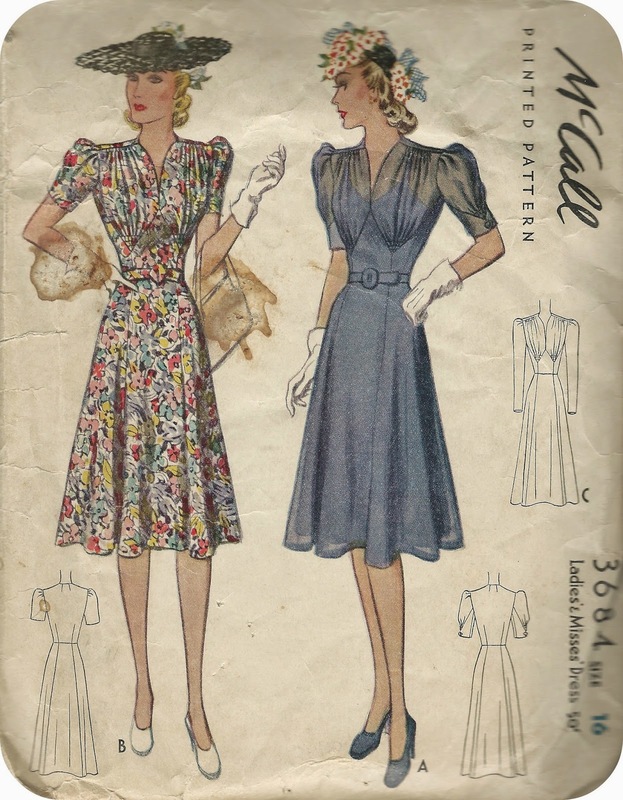 The pattern consists of a yoked shoulder front, long 'puffed' sleeves and a wrap front held in place by a hook and eye. I didn't have enough fabric to make the belt and my local fabric store is no longer carrying this fabric. But I think that's fine as belts on robes are sometimes a bit annoying! So I just wear my sans belt. There are also subtle gathers on the front waist and more gathers on the back yoke. 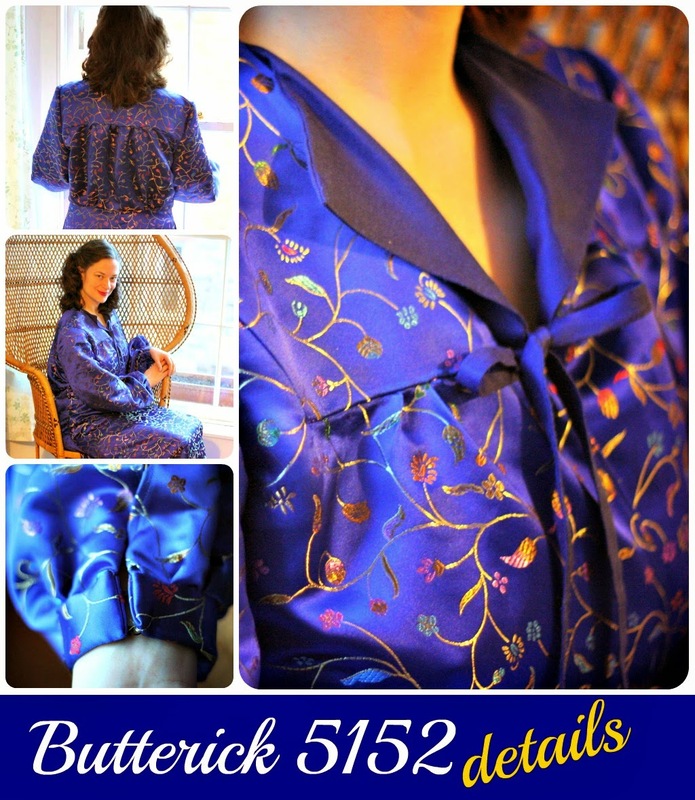 The dressing gown goes perfectly with my 1940 McCall 'Wish Upon a Star' nightgown! It's nice because the dressing gown doesn't have a collar which allows the collar and ties of the nightgown to show through. 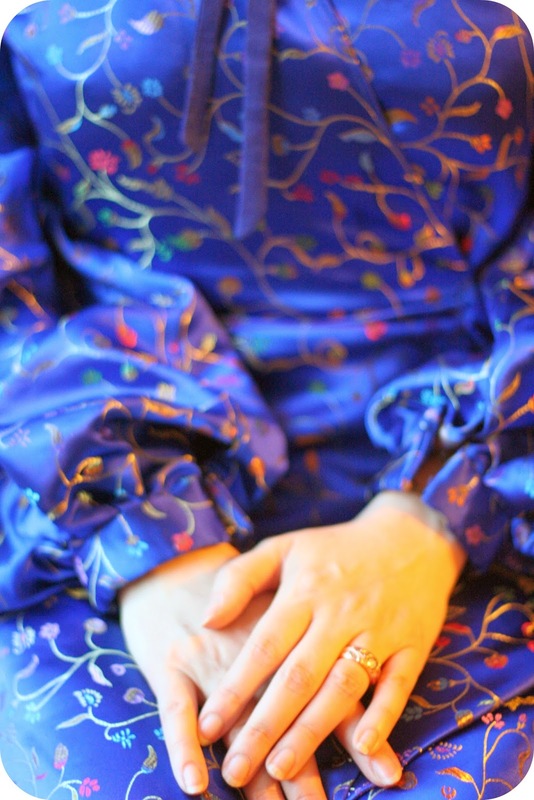 I really adore the big puffy sleeves and I feel so glamorous when I wear this around the house! 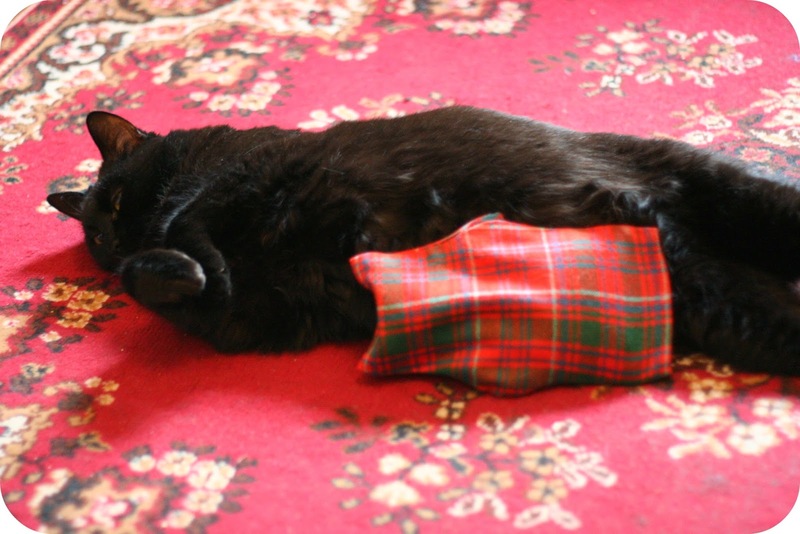 Plus, it's nice and toasty – perfect for virtually every season here in Scotland! 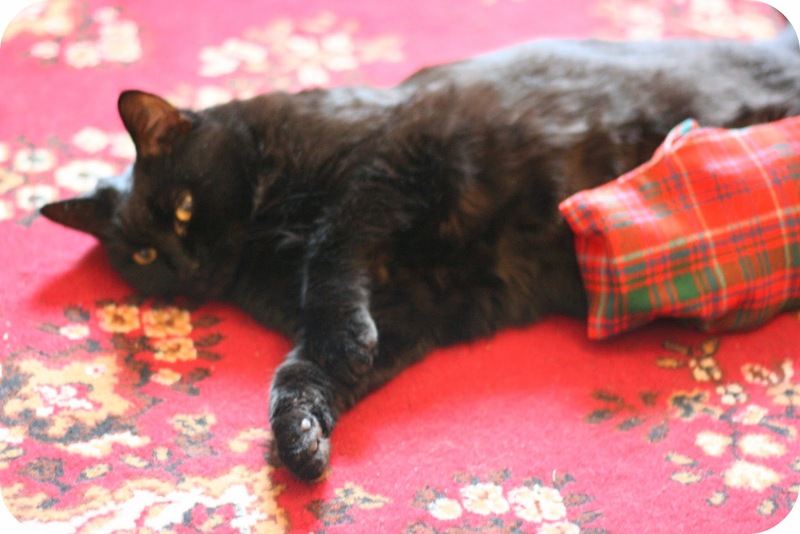 Awww...look at the kitty...our dearest little Echo 'Chickpea'. She's such a sweetie!! 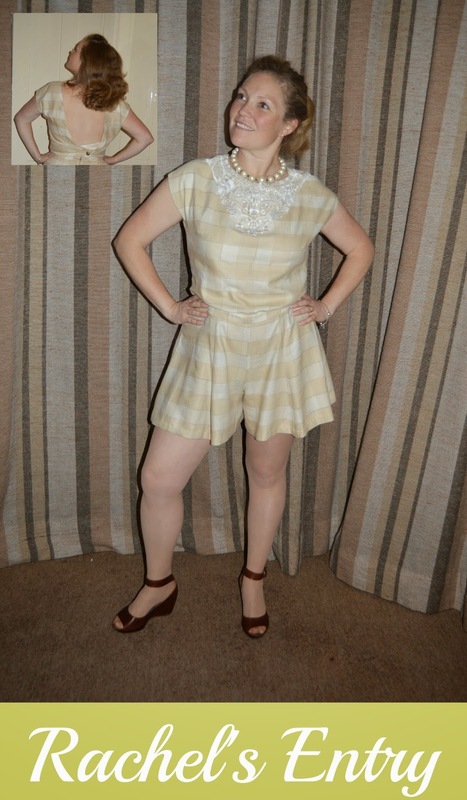 I'm really trying to develop an entire wardrobe of 1930s and 40s inspired 'at-home' lounging and nightwear garments! I just love how beautiful all the garment designs are from those time periods!